Today has been crazy busy for us. We have a Seniors Luncheon to get ready for, which is tomorrow at our Church, and before it was cancelled we did have our brother's baseball game to attend (but it got rained out). I can give you the heads up now that tomorrow's post will not be up until after, or a little before 5PM (EST). Because we were going to be going to a baseball game, I decided to wear my jeans today (and I'll be wearing these every game day). Having jeans as part of my everyday wardrobe during this remix challenge will really challenge me to not get into a tee shirt & jeans rut. 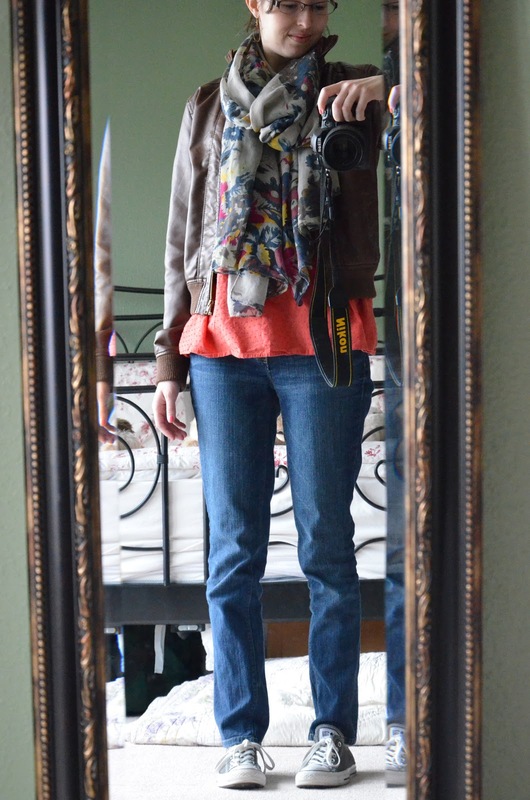 I'm going to learn how to style jeans in a cute, stylish, and modest way. Of course, the one thing I really struggle with is knowing what type of shoes to wear with skinny jeans. This evening I'm hoping *fingers crossed* to look over all of your posts! Since I haven't had time so far. Btw, it is not too late to start doing the challenge, I'll have the linkys open until July so you can do the challenge at your own pace. Yay! *smile* Well, I better get going as our power is flickering off and on and the internet could disappear at any minute. Link up your outfit below! I normally either wear my pink moccasins or my cowboy boots with skinny jeans. :) Or really thin sandals. One of the hardest things about wearing skinnies is choosing what shoes to wear! Hahaha! I have a fairly large foot and if I wear tennis shoes and etc with them my feet look ginormous. Lol! Ugh, isn't it so hard when you have big feet? I'm a size 10 in shoes! It's terrible!!! I hate it! And all of my family members have cute little size 3 feet...My cousin who is almost 19 wears a size 3...In children shoes! We're linking up today! Yay!! I'm going to a baseball game tonight also! This is the first one this year. To me baseball means warm weather/summer is here! Super cute! 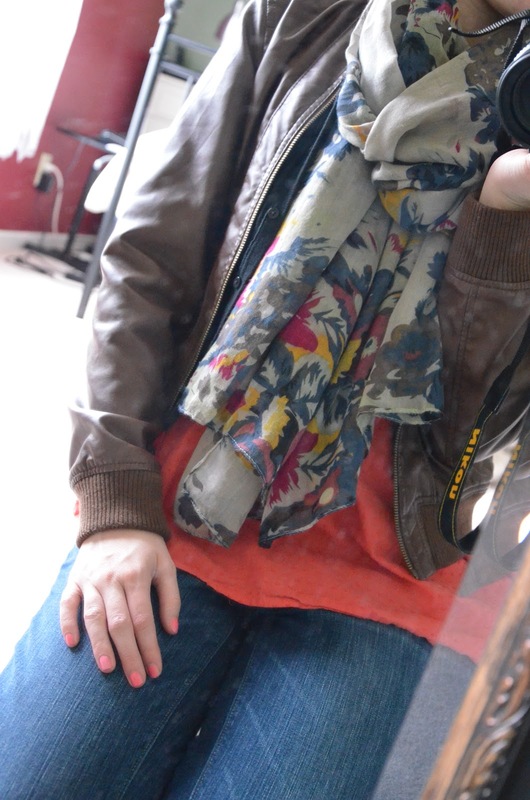 I love that scarf with the coral! Cute outfit! It's so my style! What I Wore | "If you just wanna take me home..."